Apple is set to launch a new iPhone upgrade program at their retail stores that allows customers to trade in their old, broken iPhones for credit towards a brand new handset, according to the latest report from 9to5Mac. It has been possible to trade in your old iPhone for credit towards a new one at Apple Stores for a while now, but the policy has stipulated that the phone you're trading in must be in working condition. 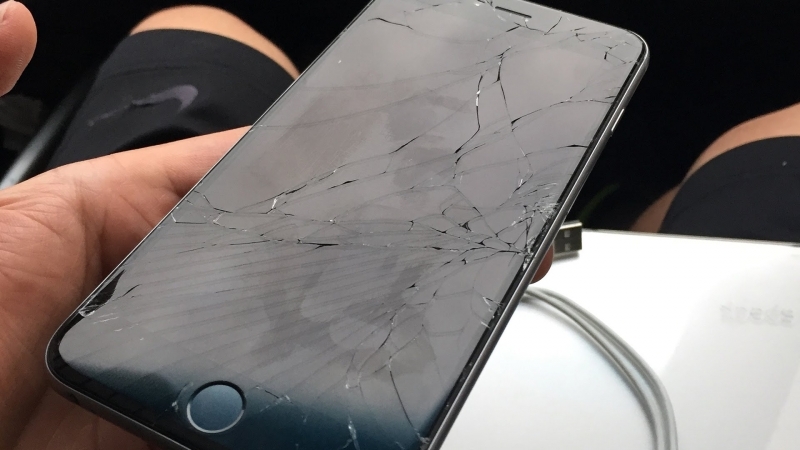 That's set to change this week, though, with Apple to begin accepting trade-ins of phones with broken screens, cameras or buttons "within reason". The trade-in program will only apply to iPhone 5s and iPhone 6/6 Plus models, as it's designed to encourage users to upgrade to the latest iPhone. Trading in a broken 5s will reportedly net you $50, while broken 6 and 6 Plus units will give you $200 and $250 of credit respectively. This credit can go towards the purchase of a new iPhone 6s or 6s Plus. Apple will also begin offering screen protector applications at Apple Stores starting today, something that the company previously prohibited as it didn't believe employees would do a good job applying them. If you purchase a screen protector in store, the Apple Store will use a specialized installation machine from Belkin to apply the protector perfectly. And in the event that the machine doesn't apply the screen protector perfectly, the Store will give you a free replacement and attempt the installation again. Unfortuntely Apple Stores don't sell high-quality screen protectors like Phantom Glass, but the plastic ones available should do a decent enough job.